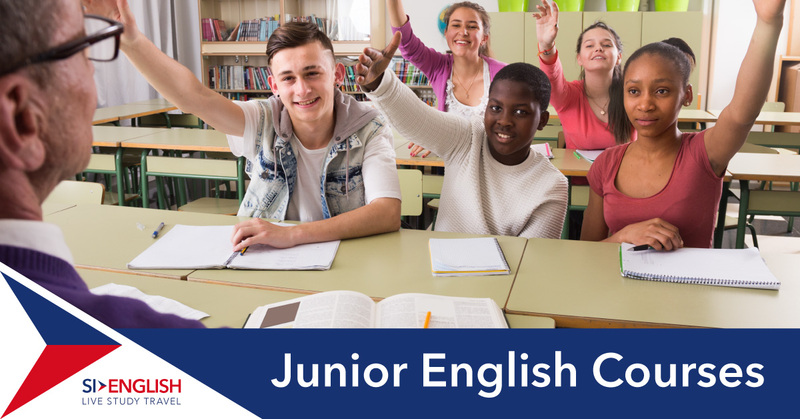 The popularity of Junior English programmes for young learners between the ages of 8-18 is on the rise as more parents see the benefits of a child learning English whilst embracing new cultures and countries for the first time. If this sounds like something that would benefit the future of your child, why not contact SI-English who can help you find the right course type and global language school? We have a close relationship with schools all over the world and our 100% Free Application Service will guarantee you an offer letter! Why enrol on a Junior English course? Teaching will often focus on speaking and listening skills and classes will be taught in an interactive manner, ensuring the students are constantly involved in what is happening around them. Class sizes will be small, and wherever possible, two teachers will be present to ensure nobody is left behind. Before beginning, a practice exam will sometimes take place to ensure your child is placed into the correct learning bracket relevant to their age and ability. Studying in a new country means your child will meet many people from different cultures and background in a short space of time. These personal relationships will help improve their English quickly, broadening their horizons from a very young age. Learning English abroad is also about having fun, and all English schools offer a wide variety of trips and activities to keep young minds occupied. Traditional ways to pass the time will include organised football, frisbee or volleyball, while trips to sights of local interest mean lots of photos to send home to family. But one of the best ways to improve English is learning in social situations, and acitivites such as quizzes, drama and language games will see young learners improve their English quickly, in fun ways. Are you interested in your child studying English abroad? If so, get in touch with SI-English today. Our international, multilingual education experts can help find the ideal study destination for your child.